This week, I've got not one but two sales happening. If you've been thinking of picking up some new patterns — whether for holiday gifts or your own wardrobe — now's a great time. 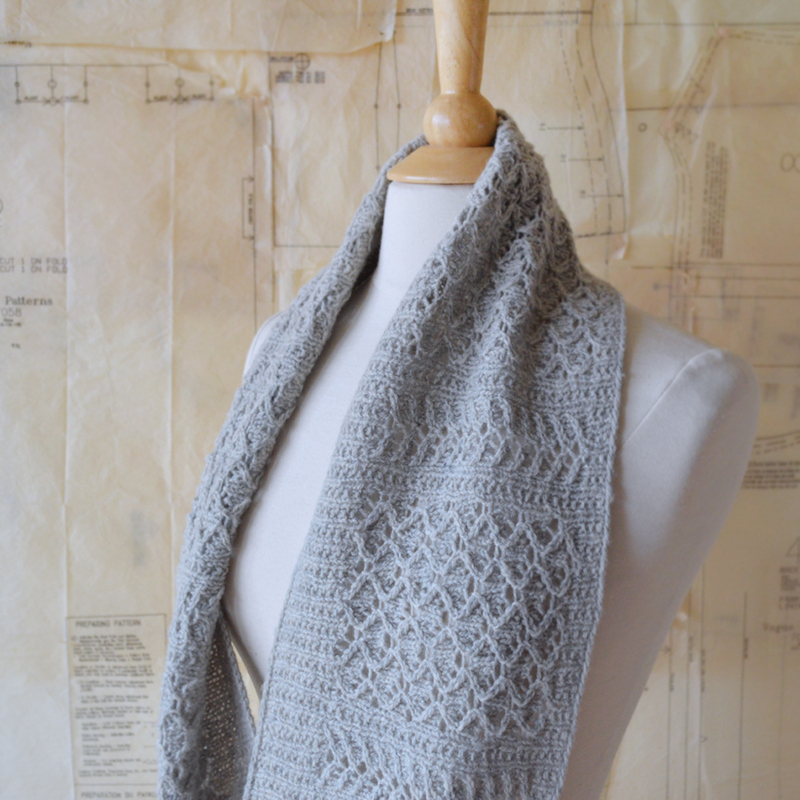 First up: the Ravelry Indie Design Gift-a-Long. 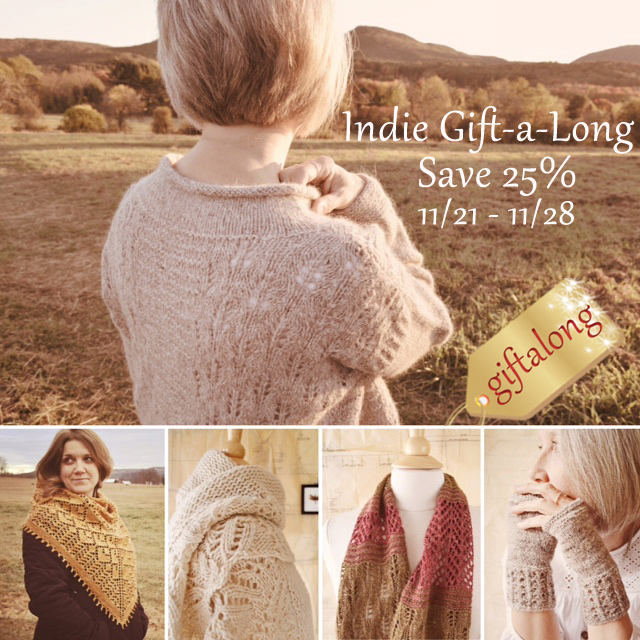 The first week of this annual gift-knitting extravaganza includes an amazing sale: 25% off patterns by many, many talented indie designers. Then, the event continues with KALs, CALs, games, and prizes all the way through December 31. Get motivated to tackle your gift list, be inspired by everybody's projects, and have fun — as only Ravelers can! I've got 20 accessories and sweaters in the sale, a mix of recent patterns and old favorites. Use the coupon code giftalong2017 to receive 25% off, now through midnight EST November 28. Save in my Etsy shop too! 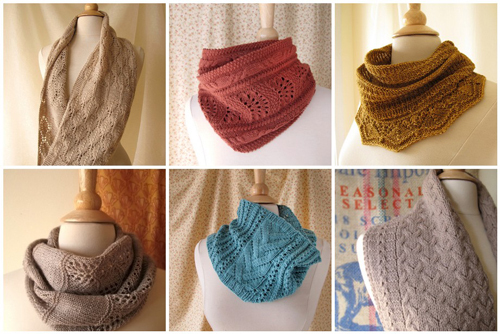 All individual knitting patterns are 25% off through November 28. No coupon code required — the discount is automatic. If you happen to have an Etsy gift card, now's the perfect time to use it. Thank you for supporting independent designers. Happy Thanksgiving — and happy gift knitting! Did you know about the big Etsy Labor Day Sale? Shops across Etsy are participating, with lots of beautiful items by talented artists and designers on sale. In my Blue Peninsula shop, patterns for cowls, scarves, mitts, sweaters, shawls, socks, and more are discounted 25% through Monday (Labor Day in the U.S.). No coupon code required. Happy shopping!